The exhibition “Place of Names” is located in the former guard house at the camp’s entry. It is dedicated to those who died at the Ravensbrück Women’s Concentration Camp. 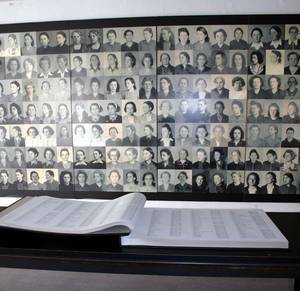 Visitors can look at the memorial book which was presented at the 60th anniversary of the liberation of the Ravensbrück Concentration Camp in this exhibition space.